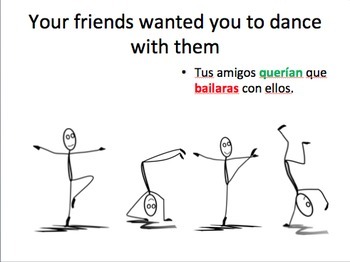 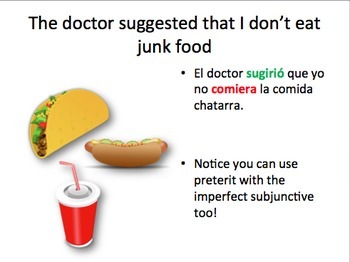 This PowerPoint includes notes and animated practice for conjugation and use of the imperfect subjunctive. 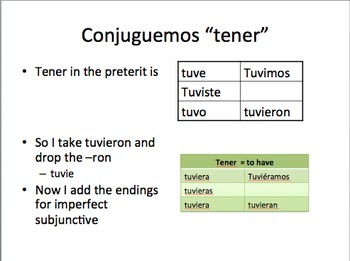 I usually sing the endings to the tune of Lady Gaga's "Bad Romance" when we learn this to help students remember them. 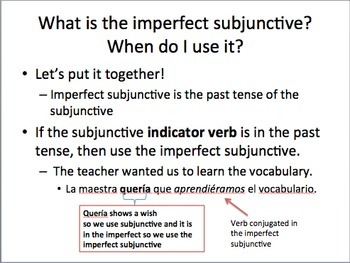 Check out my imperfect subjunctive worksheet for more practice using this tense.